I think we can sometimes forget that on the other side of the Internet there are people, like real humans, every once in a while. It’s a fine line to walk. Ideally, a good number of people will like and comment about how pretty or cool or awesome whatever you just posted is, but invariably, at some point you will offend someone. When we receive negative feedback, we attribute various factors that could have caused the reaction, in order to normalize the situation. We tend to forget that the message was effective, albeit with unintended results. Now that everyone—except apparently the new set of cool 13 year olds—is on Facebook, there is pressure to push out the “Least Common Denominator” message that will resonate with the most people to result in the most reach and return on your efforts. Often, this is at the expense of personal interaction. Many brands have tried and wind up on the Condescending Corporate Brand Page, or are crucified in digital outlets for their failed attempt at personal human interaction. There may be legal and compliance issues to consider as well. Thus, we—businesses and individuals alike—shy away from personal engagement on the Web. We continue to seek out new ways to form a connection with a weaker but still relatable message, less divisive, less intrusive, while trying to project the desired image we want to be perceived as. BuzzFeed content is an excellent example of this, humanizing the digital experience with relatable messaging and images. 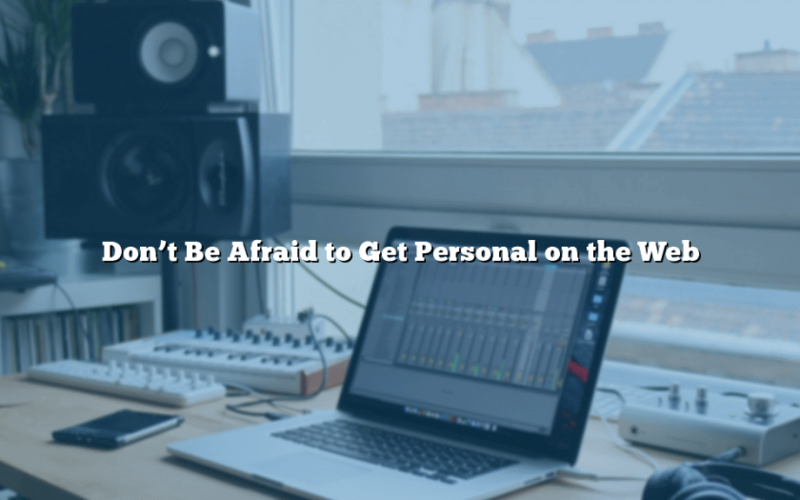 Brands and businesses can’t always be too afraid to be personal. When you do take the risk of going personal, and it yields success, it is unbelievably validating. The reward is priceless. There’s way too much useless material on the Internet, so when someone comes across quality personal or valuable content, it’s pure gold. People love that feeling of a great discovery. The key is creating a story worth telling. One thing I love about my job the most is helping a brand or business tell their story. What story does yours tell? Could it be better?